The Harmony Sweepstakes A Cappella Festival, the premier American showcase for vocal harmony music. The annual national competition draws from hundreds of vocal groups from around the country with regional competitions in eight cities. The winning group from each festival is flown to perform in front of celebrity judges and a sold out house of enthusiastic a cappella fans at the National Finals. The Boston Globe calls Syncopation the “Manhattan Transfer of the 21st Century”, and it is easy to see why. Like that legendary vocal group, Syncopation performs jazz and pop music that is both timeless and up-to-the-minute. These four young singer/musicians have performed across the U.S. at the Tanglewood Jazz Festival, the Tri-C Vocal Jazz Festival, the Boston Globe Jazz Festival, the Meihou Music Festival, and the 2004 and 2006 International Association for Jazz Education Conferences in New York City. The group has also regularly tours Japan. 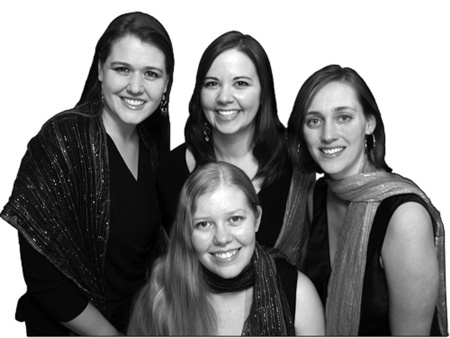 Anthology - The women’s vocal quartet Anthology blends its high standard of performance with a varied repertoire and a sense of fun. The group’s range includes medieval music, Renaissance madrigals, Romantic part-songs, folk, jazz and new music hot off of the press from local Boston composers. Anthology’s members are trained classical choral vocalists who share an enthusiasm for all styles of performance. 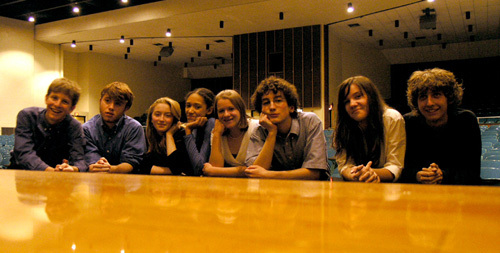 5-Alone is a talented young group from the Pioneer Valley Performing Arts Charter Public School in South Hadley, MA. 5-Alone performs a mix of jazz and pop a cappella, and they are excited to be competing at Sweeps this year! Members: Kimaya Diggs, Maisie Dolan, Harpo Jaeger, Andrew Lederman, Dylan Makowski, Rose O'Connell-Marion, Daniel Plimpton, Rose Whitcomb-Detmold. 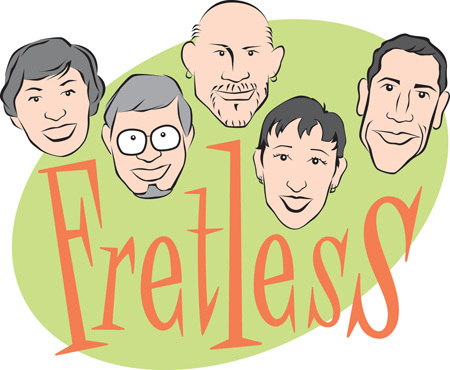 Fretless weaves the soprano, alto, tenor, baritone and bass voices of five accomplished performers into a tapestry of lush harmonies and fascinating lyrics. Our repertoire includes an adventurous mix of lively pop songs, Broadway classics, demanding classical works, and off-beat selections from the great American songbook. Fretless made its debut in June 1999 at the First Parish Unitarian Church in Bedford, MA. Boston Accent Quartet is an award-winning quartet that just can‚t get enough of A cappella singing. 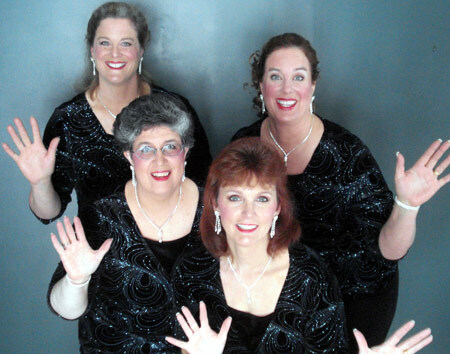 They belong to two barbershop societies, Harmony Incorporated and Sweet Adelines International, and were awarded the International quartet gold medal for Harmony, Incorporated in November, 2006. Since then they have been busy performing all over New England. 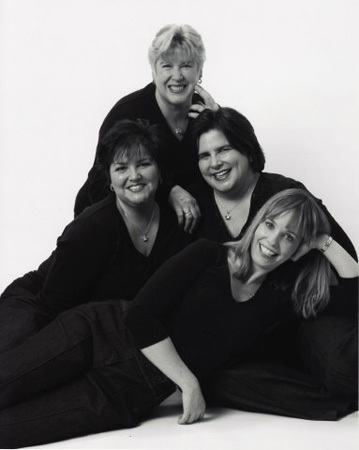 Known for having tons of fun on and off stage, the ladies of Boston Accent are available to perform at your upcoming wedding, bar mitzvah, parole hearing, or emergency liposuction. They are especially proud of their recently-released CD, „Boston Accent: Crowned and Dangerous‰ and are delighted to participate in this year‚s Harmony Sweepstakes! Overboard is a Boston-based male a cappella group whose repertoire spans a variety of musical genres. 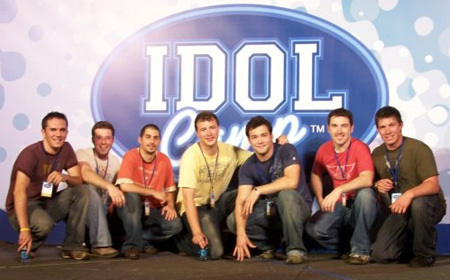 In addition to street performing throughout Boston and New England, Overboard has performed at a variety of venues, including charity events, community festivals and corporate parties, as well as at Idol Camp, the performing arts summer camp created by the producers of American Idol. In December, the group was honored to be named among the Top 5 finalists in the CBS Early Show "A Cappella Quest" hosted by Boyz II Men. Syncopation - The Boston Globe calls Syncopation the “Manhattan Transfer of the 21st Century”, and it is easy to see why. Like that legendary vocal group, Syncopation performs jazz and pop music that is both timeless and up-to-the-minute. These four young singer/musicians have performed across the U.S. at the Tanglewood Jazz Festival, the Tri-C Vocal Jazz Festival, the Boston Globe Jazz Festival, the Meihou Music Festival, and the 2004 and 2006 International Association for Jazz Education Conferences in New York City. The group has also regularly tours Japan. Joey Blake is one of the founding and current members of Voicestra, the a cappella ensemble created by Bobby McFerrin in 1989. He currently performs with the ensemble SoVoSo, a six member a cappella ensemble that spun from Voicestra. He also holds numerous arranging credits to his name, including his work with SoVoSo. His discography includes recordings with McFerrin (Medicine Music, CircleSongs), Kenny Loggins, Dianne Reeves, to name a few. Joey is currently on the faculty of Berklee College of Music in Boston, as an Associate Professor in the Voice Department. He continues to tour with SoVoSo and Bobby McFerrin, while pursuing his solo work and teaching career. Amy Malkoff is a founding member and bandleader of the award-winning pop-funk vocal band All About Buford, and she has appeared on stage and in the studio with such luminaries as Wayne Brady, Jonatha Brooke, The Persuasions, Ellis Paul, Vance Gilbert, GrooveLily, Patty Griffin, and Dar Williams. She has a degree in music from Kenyon College, with music studies at Youngstown State University and masters-level coursework at the New England Conservatory of Music. 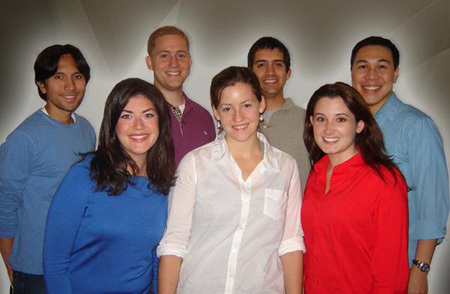 Amy was the launching editor-in-chief of the Contemporary A Cappella Society's website, and is also a writer and designer (BOCA - Best Of College A Cappella - '06 and '07). Her music has appeared on both the Rounder Records and Hear Music/Starbucks labels. Brian O’Connell has spent many years as a performer in the Boston area, both in the rock and a cappella scenes. He was on the faculty of Berklee College for fifteen years  nine years as chair of the Voice Department. Now Brian directs the Sarteano Chamber Choral Workshop in Tuscany, Italy during the summers, is an adjunct faculty member of the Boston Conservatory and UMass/Lowell and choral director at Lexington High School. Incidentally, Lexington High is home to perhaps the largest assemblage of student-directed a cappella groups in the nation with seven groups functioning at present. Many of Lexington’s groups have been selected for The Best of High School A Cappella CD  a national compilation. Mr. O’Connell, as a frequent clinician at music conferences has through the years stressed the importance of these student-directed ensembles to the over-all health of the choral program.